Just about a year ago I posted a blog that addressed a disturbing trend—thieves impersonating water and other utility workers to gain access to individuals’ homes and credit card information. 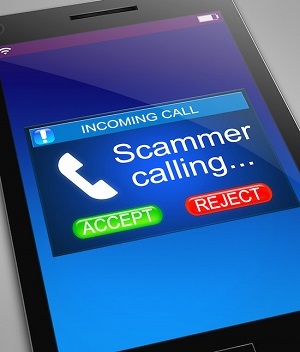 Discouragingly, this type of criminal activity seems to be growing and “scammers” are getting more sophisticated in their methods for victimizing unsuspecting utility customers. However, there has also been a very encouraging development over the past year as well, that being the formation and growth of Utilities United against Scams (UUAS). Like so many discussions we’ve had about driving positive change, UUAS harnesses the power of collaboration to fight back against utility scammers. To date, more than 100 electric, gas and water utilities have united through UUAS and are working together to share information, insights, resources and best practices to help stop the scammers. 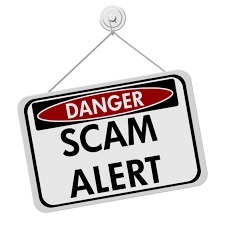 These utilities are also developing resources, such as communications materials, to grow awareness and decrease the number of people falling for scams. Lastly, UUAS utilities are generating a data pool from scam incidents so that they can identify patterns, tactics, victim profiles, etc. in order to better combat the criminal activities. UUAS is also collaborating with communications providers, law enforcement, federal agencies and consumer advocacy groups to help put the brakes on utility scam activities. In this way UUAS is truly taking a strength in numbers approach and looking to leverage the core resources of each member group to tackle this problem head on! Utility companies never disconnect service abruptly due to nonpayment. Multiple notices will be sent by various communications channels well in advance of service being ended. Utilities never require delinquent customers to purchase a prepaid debit card or make a wire transfer to make an account payment. Utilities may also offer installment plans for paying an overdue bill and not ask for a large sum immediately. Customer service representatives are extensively trained in “emotion control”; if a so-called utility representative becomes aggravated or aggressive when asking for payment he or she may not be who you think they are. Utility workers making “house calls” will always have company-issued I.D. Do not settle for a vehicle that appears to be a service vehicle or even a uniform. It’s important to realize just how sophisticated these utility scammers have become. Scamming is their business, and just like any smart business, they are employing the latest resources—technological, psychological and, in this case, criminal—to become successful. Through focused collaborations such as UUAS and by consumers being savvier than the impostors, society can help save millions of dollars a year from ending up in criminal hands.